The man in a grey duffle coat, said to be roughly 60-years-old, shocked a member of the public as they passed through Tarland Golf Club. Yesterday, local councillors said the incident at the scenic Deeside course was “disturbing”, adding that they hoped the community could help pinpoint the man. He was described as wearing dark trousers and a jumper under the long grey coat. 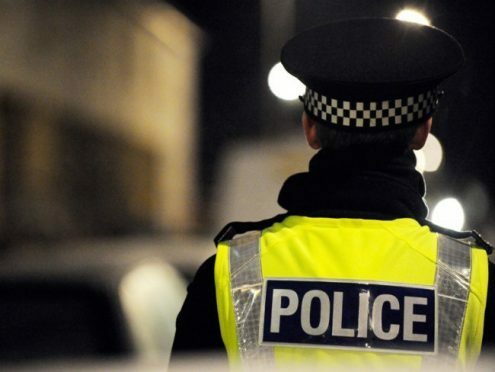 The indecent exposure took place last Friday at about 9am and police are now appealing for anyone who may have spotted the individual to come forward. The force confirmed no children had been the victim of the incident. Club captain, Raymond Reid, said that he and his fellow golfers had been “completely shocked” to hear the news. He added: “The golf course is normally closed during the winter period. There is no staff or anything, so really there is just people walking their dogs and so on. “I only found out yesterday about this incident. I was completely surprised, In Tarland, there has never been anything like this before. Aboyne, Upper Deeside and Donside councillor, Katrina Farquhar, said: “It is a bit disturbing for a little village, it is certainly not something that I have heard of before in my ward. “Hopefully it is a one-off incident and it won’t be the start of something in the village. Fellow councillor for the area, Geva Blackett, said: “This behaviour, whilst distressing for those exposed to it, is rarely followed by other harmful advances. Sergeant Gordon Forsyth, of the Marr community policing team, said: “This is thankfully an isolated incident and is extremely rare for the local community.